A road safety charity has condemned the sentence given to a motorist who knocked down and killed a seven-year-old boy while talking on her mobile phone. However, the mother of Tydd St Mary Primary School pupil Seth Dixon has forgiven driver Amy Asker, who was fined just £90 and given five points on her driving licence. The section of road where Seth Dixon, 7, was knocked over and killed. Road safety campaigners branded the sentencing of Asker an ‘insult’ to the family of Seth. He died just before Christmas 2014 from head injuries after he was hit by Ms Asker’s Ford Mondeo as he crossed a road outside his home. Ms Asker (33) was fined £90 after admitting a charge of careless driving rather than the more serious offence of causing death by dangerous driving when she appeared before magistrates. In Thursday’s Spalding Guardian we reported the inquest into Seth’s death, where it was heard that Ms Asker had been talking on the phone to a friend using its loud speaker when she hit Seth –known as Smiler. Alice Bailey, campaigns adviser for road safety charity Brake, said: “The driver’s explanation and the subsequent fine and penalty points are an insult to the family. “This tragic story illustrates why driving when distracted can be deadly. “We’re calling on the government to make all phone use in vehicles illegal. “Even when speaking on a hands free unit, your reaction times are 30 per cent slower than if you were at the current drink-drive limit in England and Wales. Seth was crossing the road outside his home in Tydd Gote to post a letter when the tragedy occurred on December 5, 2014. The coroner heard that Ms Asker claimed she hadn’t seen Seth and only became aware of him on impact. 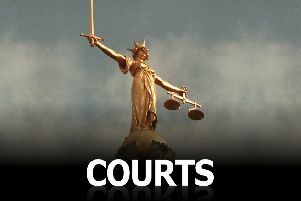 Asker, of Clapper Lane, Clenchwarton, near King’s Lynn, was driving her car at around 27mph in a 30mph zone at the time. Seth’s mother Alice Husband (42) said she hoped her son’s death would come as a strong warning to drivers not to use their phones behind the wheel. She said: “It doesn’t matter whether you think you’re concentrating properly, you’re not. “If a phone call or message is important, pull over and take it, or wait until you get home. “The chances are it’s not as important as you think. Asked whether she believes Ms Asker should have been handed a stronger sentence, she said: “She will be serving a sentence in her own mind for the rest of her life. “No prison sentence would change that or make her feel any worse. “All it would do is separate another mother from her children and those children should not be the ones to suffer.” Mrs Husband said she had ‘forgiven’ Ms Asker for making an ‘innocent mistake’. She said: “I don’t blame her for what happened. It was an innocent mistake that led to tragic circumstances. “She didn’t get in her car that day and mean for what happened to happen. It was devastating and it’s ruined her life as well as ours. Alice, who is also mother to Oliver (16) and Jake (12), said Seth had crossed the road almost every day of his life. She said: “He’d grown up in that house where the postbox was directly opposite. “Of course I taught him the importance of stopping, looking and listening but it was in the lead up to Christmas and he was excited. “He popped out to post a letter for me, it was getting dark and he was small for his age so she (Asker) may not have seen him. Seth was taken to Addenbrooke’s Hospital in Cambridge following the collision but died as a result of head injuries two weeks later on December 19, 2014. Alice added: “It was the worst day of my life and I will never forget my amazing son. “He didn’t deserve to lose his life in such a tragic way. “He was loved by everyone who met him, and nicknamed ‘Smiler’ because he always had a grin on his face. “He was a classic little boy who loved building fires and getting dirty in the mud. He was kind and generous and loved his brothers. The maximum sentence for careless driving, also known as driving without due care and attention, is a fine of up to £2,000. The driver’s licence must also be endorsed with between three and nine penalty points. The maximum sentence for death by dangerous driving is 14 years in prison and/or an unlimited fine. The driver must also be disqualified from driving for at least two years and must then sit an extended retest.